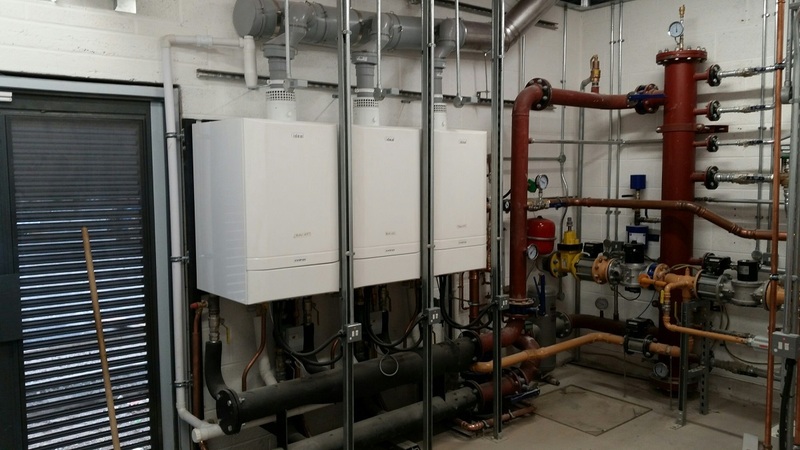 As part of a £4 million community and business hub renovation project, Ideal Commercial Boilers have supplied an Evomax Cascade, consisting of three Evomax 150s and a multiline flue cascade, to Marble Hall, the former Rolls-Royce engine factory on Nightingale Road, Derby. Originally built in 1907 and rich in history, the former factory and office facility has been fully refitted to provide a brand new managed workspace and community hub, and new boilers, radiators and radiant panels installed. The new Evomax boilers were supplied by leading British manufacturer Ideal Commercial Boilers and specified by Paul Lucas and Adam Whitehead of Palms Facilities who installed a carbon pipe heating system with Ideal Commercial boilers and header kits and flue headers. 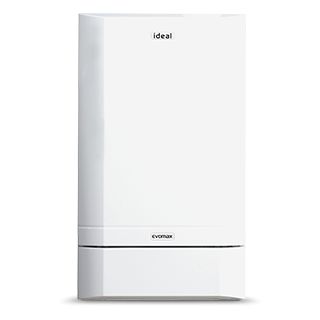 Paul explained that the Evomax 150 boilers were chosen specifically for their compact size and high kW output for a wall mounted boiler which made installation easy. The boilers and the frame and header kits were also easy to carry and manoeuvre within the building as well as having a small footprint. Paul was pleased to confirm that the BREEAM rating for the boilers installed is 66% with a classification of ‘Very Good’, which puts it in the top 25% of new UK buildings. 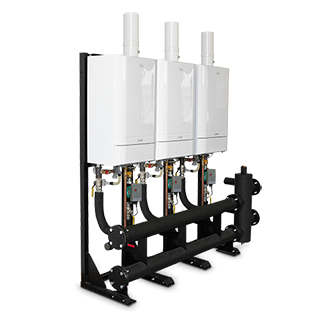 The Evomax range of condensing boilers offers a number of key features which made it ideal for the installation at Marble Hall. The lightweight design is supported through quality build and aesthetics that allow for the boiler to be installed either on the wall – as was the case with the installation at Marble Hall - or into a prefabricated floor mounted frame to enable ease of installation, maintenance and operation. Now available with a five year parts and labour warranty* the Evomax product range has been developed through meticulous design, careful component selection and proving to provide straightforward commissioning and servicing together with a compact one height and one width for easier siting. Rolls-Royce moved to the Nightingale Road site in Derby in 1907 where it built the iconic Silver Ghost car. During World War II, the site was camouflaged to protect the manufacture of Merlin engines which powered Spitfires, Lancaster Bombers and Mustangs. Marble Hall has been a listed building since 2009 to protect original features such as the Tuscan style polished limestone columns inside the former entrance and the building still has air raid shelters below ground with thick steel doors. Having left the site in 2007, Rolls-Royce officially donated the building, plus money toward the renovation, to Derby City Council. The £4 million transformation is the first project for Connect In The Community, a new scheme that supports social enterprises, community groups, charities, start-ups and growing businesses in Derby. Established just two years before Rolls-Royce first inhabited Marble Hall, Ideal Commercial Boilers celebrated their centenary in 2005 and share Rolls-Royce’s commitment to quality products backed by excellent customer service. Ideal also remain dedicated to creating solutions to meet the needs of the market through a range of renewable energy solutions, perfect for new build and retrofit applications alike.